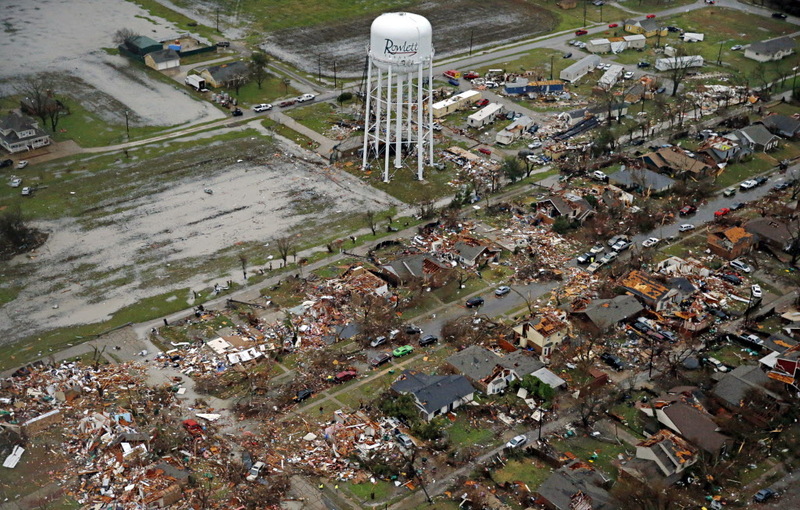 Y’all might have seen our area in the news this last week…a series of major tornadoes (one an F4!) hit the area, one coming within a couple miles of our Suburban Blah House. We watched the news from the Old Vic…wondering what we would find when we went home. Fortunately our property was fine. Today we headed back to The Old Vic for a bit…and ran our “sort of usual” route…the route we did *not* use on the way home last week due to the minor fact of major tornadoes and flooding all along it. A few miles later…the dawning comprehension of the mechanics involved to create the farm field were the tornado shut down and simply dropped, straight down and without disturbing the trees and buildings here, tons of debris, thousands of pieces…crumpled refrigerators, entire roofs, wadded up sheet metal, an unbroken toilet. That thing over there that used to be a car. Major, major damage…and this is NOT the damage you’ve been seeing on the news…since by comparison…it’s minor. It’s still catastrophic. It’s amazing the death toll was so low…there is no meaningful warning for these storms as unless you’ve built a specialized shelter, there’s simply nowhere to hide from a direct strike. The warnings are so “general” (“Storm on the ground near so and so and moving northeast at 45 mph”) and it’s night so you can’t see it coming…which way would ya run? Which house of cards would you hide in? We feel for these folks…but we’re also very grateful these storms missed our Suburban Blah house (and not by much!). The human mind can’t help but look for meaning when confronted by chaos…but just because we seek meaning…doesn’t mean there’s any there. The writings of a mad god weren’t meant to be understood. If you survived to wonder at the insanity…well, that’s a win.